After spending 80 hours of intellectual ride with the book, I have finally reached the destination which is the last page of the content. 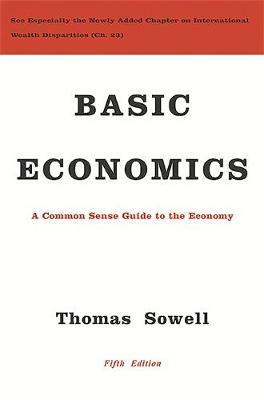 The book, Basic Economics by Thomas Sowell, is a very well written introduction to economics that does not involve any complex mathematical equations or technical jargons. The target audience is the mass public who are not trained in economics – like you and me – and would likes to know how economics affects their everyday life and generations to come. The book is broken down into 7 parts, Price and Market, Industry and Commerce, Work and Pay, Time and Risk, The National Economy, The International Economy and Special Economic Issues. It first defines what is economics to the reader. As the reader progresses with the book, the topics zooms out from microeconomics (topics that are relevant at individual level) to macroeconomics(topics that are relevant at national level). Through out the book, Thomas has placed an important emphasis on the role of price and the incentives that it brought up. On top of that, he has also discussed about various policies that are implemented in the past and implications of these policies (some of which are still in effect till today). Some of the topics that were discussed includes, minimum wages, rent control, capitalism and imperialism. After reading through the chapters, one of the lessons that I have learned is that scarcity and shortage does not have an causation relationship, and they are the results of economic decisions. As depicted in the examples, a shortage of housing in US is due to the rent control which has set a ceiling on the rental price. As a result of the rent ceiling, resources have shifted to other areas where there are high incentives. Instead of building residential buildings for rent, more luxurious building for the affluent and the rich are built. This has further aggravated the shortage of housing for rent. The last part of the book is about some histories and evolution of economic theories, which briefly talked about Adam Smith and the rise of keynesian economics. In conclusion, I believe that every human being on this planet needs to know the basics of economics so that we do not be fooled by the politicians who propose policies to serve their own interest and agenda, such as minimum wage which is popular among the population and causes higher unemployment. The Wealth of Nations is gonna be my next book on economics.